When I was an adolescent, I was taught that God loved me, and loved the whole world equally with the love of a perfect father. But when I was a teenager (who was attending a new church and school), I was taught that God despised anyone outside the narrow denominational box that was part of my teenage years. God approved of you only if you worked hard on your own righteousness, and took careful steps to seal yourself off from the influence (and company) of “the world” outside the walls of our church. People to be wary of included (in no particular order) gays, democrats, loose women, profane men, those who drank alcohol in any quantity, those who smoked, secularists, people of color (any other color really), long-haired men, short-haired women, those with tattoos, those who played any instrument that was associated with rock and roll, those who read any other version than the 1611 King James Version, and any other division that could be imagined. I never whole-heartedly bought into any of this rhetoric, and thankfully this denominations emphasis on reading the Bible every day caused me to see that the life of Jesus was diametrically opposed to this “separation” logic. Jesus constantly got flack from the religious leaders of his day for hanging out with the wrong types of people (labeled in the good King James as “prostitutes and sinners”) and surrounding himself with disciples who didn’t fit the mold of someone the Lord would use to minister. (Most of the disciples were from the wrong side of the tracks.) This disconnect between what the Bible (which I was taught, and still believe, is the infallible word of God) presented as the blueprint for how to minister and interact with the world, and how my well-meaning teachers and elders instructed me to conduct myself, troubled me greatly. My mind and heart (influenced by the Holy Spirit) spoke loudly to me on one shoulder, while the people I loved and looked up to, and who I thought spoke for God, sat on that other shoulder. And my young faith sat in between. Dissidents, feminists, xenophobes and chauvinists. Misogynists, monogamists, philanthropists, blacks and whites. I’ve always been a lover of words, and how they can be stacked up next to each other to form grandiose buildings of poems, books and songs. And these particular words, in the context of my Christian camp life, and young faith in general, floored me. Upon request, that counselor typed up the lyrics to the song (this was pre-internet), and distributed them to a few of us who asked about them. I took that paper and studied every syllable. (I believe I still have that paper in an old Bible of mine.) I had to look up a few of them ( xenophobes, chauvinists, misogynists, monogamists, neophytes, peace-nicks, sadists, etc. ), and when I saw the breadth of the kind of people mentioned in this song (there’s lots of "good" folks here too), I saw the whole scope of humanity. But why did the songwriters (a band called The Lost Dogs I was told) end with the refrain “breathe deep the breath of God”? What connection did the two ideas have. And as I gave it consideration, and asked around, an older counselor kindly sat down with me and explained that the Lord breathed into Adam his living breath, and all of us are still in need of it every day. I may think I’m righteous because of everything I’m avoiding, but It’s really God’s righteousness through Christ that gives me a right standing with the Divine, and I’m closer to all of those people on the list than I care to admit. In the light of grace, all of humanity is in this mess together. We may create artificial categories to make ourselves feel righteous, but there is no degree of separation between me and a pornographer absent the gift of God’s grace on the cross. We all need to breathe deep the breath of God, because we are all equally in need of grace. All men are closer to each other than an infinitely holy God. It was the beginning of my understanding of God’s grace, and my flawed humanity, and it’s an understanding that has, by his grace, seen me through a lot of bad religion. Many of those fellow teenagers in my denominational circles have left the faith, thinking that the rigidity they experienced was what God is like. Many have come back, but all of us have scars. The Lost Dogs album that song (“Breathe Deep”) is on is titled Scenic Routes, and it’s one of the seminal albums in Christian music history, and is influential far beyond its sales figures and popularity. Once upon a time, there was a thriving alternative Christian music scene on the West Coast, one that grew out of the Jesus Freak California music scene of the late 60’s. The music was adventurous and dangerous, and trafficked in taboo subjects and contra-points of views to the prevailing religious thoughts of the time. Bands such as The Choir, Daniel Amos, The 77’s and Adam Again made dark and textured music that was both ahead of its time (bands such as The Red Hot Chili Peppers, Pearl Jam and The Counting Crows would take the West Coast alternative music sound to the masses in the early 90’s) and contemporary (as in “fits in with what is going on right now"). There was no subject or musical style that was out of bounds in a world where everything is under the eye of God, and it was an exciting time to be listening to music and absorbing the possibilities of what constituted “Christian” thought. Those four bands (The Choir, Daniel Amos, The 77’s and Adam Again) were asked to collaborate on a one-off album by influential record label Brainstorm Records, and the Lost Dogs were born. With songwriting contributions from each of the band’s songwriters, that first album, Scenic Routes, became a milestone album, and the first of a project that is on-going today. With a “cowboy rock and roll” template, Scenic Routes sounds nothing like any of the participating band’s music (be it the U2 qualities of The Choir, The R.E.M. jangle and darkness of Adam Again, The quirky, Talking Heads and B52’s vibe of Daniel Amos, or the Led Zepplin, Rolling Stones crunch of the 77’s), and was a refreshing sound in the Grunge music era it was released in. Kicking off with the thesis statement title track (where the band swears to take the road less expected of them), the album is a tour de force of creativity and spiritual insight. With taboo subjects galore (“Bullet Train” talks candidly about gun violence, and advocates for gun control, a very dangerous idea to present in a conservative CCM market, while “The Fortunate Sons” talks candidly about the cost of war on those who fought it), Scenic Routes broke down many walls in my mind, and even if I disagreed with some of the sentiments expressed, I admired the candid and witty ways they were presented. Why ain't the devil blue? Why is the devil hue? Does he look like Robert DiNiro with them big, long fingernails? Does he make you dance like Charo or sing like Jerry Vale? Well, who's that looking like an angel of light? Who's that dressed in a gown of white? Who's that saying, "Everything's alright"? Who's that grinning in the dead of night? Why ain't the devil hue? You give him his devil power. With comical (yet still incisive) lyrics like this one, the Lost Dogs won me over with thier insight and wit, and showed me a view of my faith that I had never seen before. Their dusty cowboy songs might have been an act of sorts (one that has grown into a full time gig, like a good TV character that has a life in a show far beyond what was intended), but the Lost Dogs were anything but fake. Scenic Routes would be the first of many great albums by this "super group" (at least in their own circles), and they are still going strong today. The album is a generous 18 songs long, and there is nary a dud amongst them. 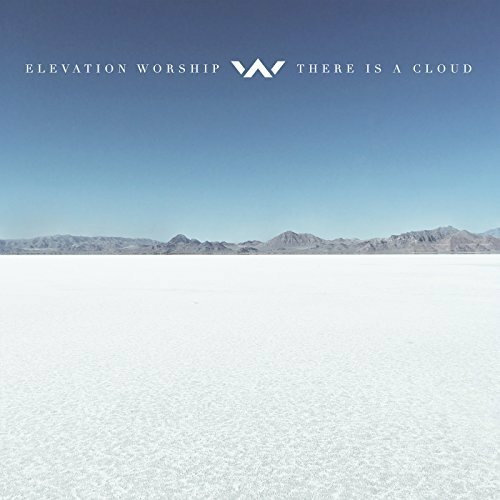 To catch some of the wittiest, most inventive and piercing songs of faith you'll hear, head over to Spotify and hear everything this band has put their name to. But make sure to start at the beginning, and take the scenic route with the Lost Dogs. Their hasn't been a group of alternative music cowboys like this in some time. May your fire burn brightly, and may we all breathe deep the breath of God. I teach rhetoric to high school students. Whenever there’s confusion about evidence or arguments (and there’s a lot these days), I always take it back to the text. Analyzing, paraphrasing, and interpreting are all great skills, but nothing cuts through the mire quite like quoting verbatim from the source. I think the same can be said of the Bible. There are nearly infinite interpretations and analyses that have accumulated over centuries, but it all comes back to the source. 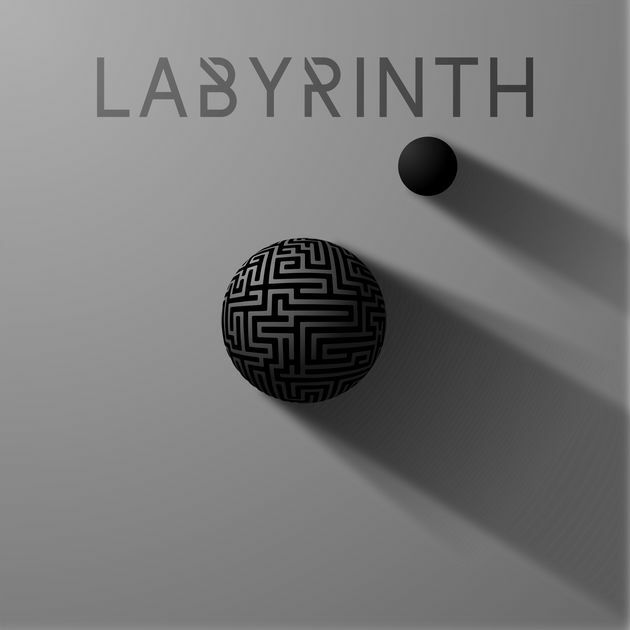 Labyrinth takes it back to the text, utilizing verbatim scripture to craft musical meditations that cut through the mire. Labyrinth is not an interpretation; it’s a conversation. It’s a conversation between the past and the present, the ancient and the modern. It’s a trans-generational conversation between father and son, a new musical translation of scripture. It’s an inter-personal conversation between who I was and who I am, when I was stuck in the depths of the labyrinth and when I found the Ariadnean thread that led me to the light. It’s a multi-lingual musical conversation. Many of the songs are inspired by classical composers like Satie, Ravel, and Debussy, but incorporate modern orchestration –– kind of like if Beethoven and Lauren Daigle had twins and gave them synthesizers and miscellaneous brass instruments as play toys. It’s an inter-scriptural conversation between translations written across millennia. For example, in “Come To Me,” Proverbs 3:24 dialogues with Matthew 11:28 in over six different translations. In “My Help Comes From The Lord,” Isaiah 41:10 communes with Psalm 121:1-2. In “The Peace of God,” Philippians 4:7 converses with Proverbs 3:6.